This topic contains 7 replies, has 4 voices, and was last updated by Nathan Storm 4 years, 11 months ago. Similar to Rauls’ post “how to bring back life to a very depleted land? ?” I am facing a similar riddle. 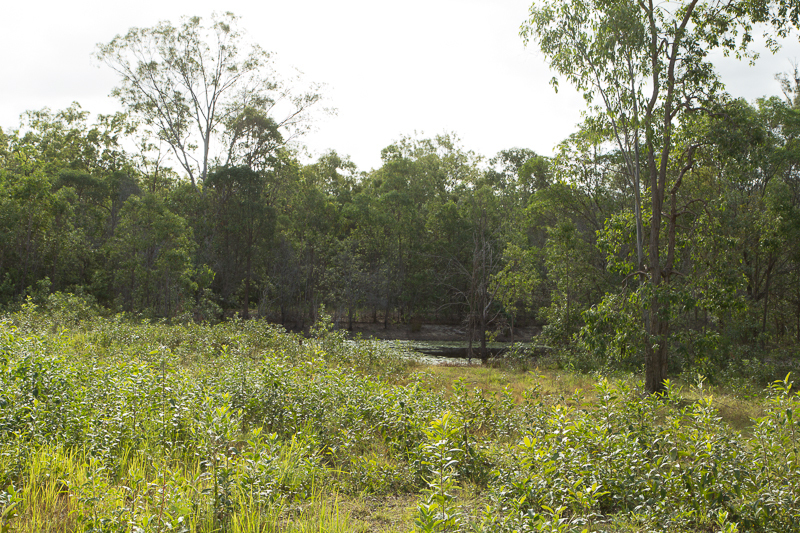 We bought 10 acres of ex State Forest, in Queensland Australia, that has been slashed 2-3 times per annum for the last 18 years when tree regrowth occurred. This was done irregularly, as such different size tree roots are in the ground… about 10-20 per m2. These are Acacias, growing one meter per year, their stems vary between 1 and 5 centimeter, the ever-cut trunk can be up to 10 cm in diameter. I want to get rid of these, as the Acacia regrowth would permanently interfere with the native and edible plants we are going to plant. When building the foundation for the house, a skid-steer bobcat did a good job of uprooting many of these when turning on the spot. All I had to do was collect the roots. The soil is very fragile if non-existent in many place; the soil varies from sandy to clay-ish (5+5 acres). I hear plowing is not a good thing, but I am almost inclined to run through the lot and get rid of the tree roots at the same time — then rebuilding the soil from the ground up. Is this the way forward or are there better solutions? Any help appreciated; as this is the biggest bugbear preventing us from implementing the perma-culture design we have put together for our property. I’m not very familiar with Acacias–do they have root systems that allow the trees to come back again and again if left in place? When you cut one, or slash over them heaps more chutes come out of the ground. One palm-sized trunk stump can get as many as 20 new chutes; it then grows like a bush. Some poison the trunk, but I do no like the idea for two reasons: 1. its poison, 2. the root still stays in the ground and takes years to decompose. I like the idea of using the bobcat, since 1)you may also have no choice b) this will possibly allow you a fresh planting bed from which to begin, and 3) might you be able to use the material as compost? 4) you might pick a few or ten to use as eventual shade canape, as, if not mistaken dont they grow 70-100 ft. tall? someone in the lectures (sorry, cant remember which) said you must break some eggs…also someone described pulling out blackberry roots (MY pioneer species) to then replant in the fertile soil. Looks like you have some lovely water nearby. Can you berm and flood a a few square meters? If the soil percolates slow enough, you may be able to pull up muddy roots and get all the roots out. Obviously, you want to have some sheet mulch and/or clover seeds/plants ready to go once you have drenched the soil. Ok–so that reminds me of our poplar issue here. They send out so many runners, especially if you cut one down–argh. In my zone 1 area, I’m going to keep cutting back poplar shoots as soon as they grow and sheet mulching like crazy to smother them out. I can’t afford to have such big, fragile trees near my house–too windy here. But that’s a small area! In farther areas, I’m just setting up other species to compete with them. They make good kindling and hugelkulture material too so it’s not that bad if I have to ‘harvest’ them at times. Your site and goals sound quite different from mine though. I’m not horrified about the use of a bobcat–and the idea of flooding is also interesting. 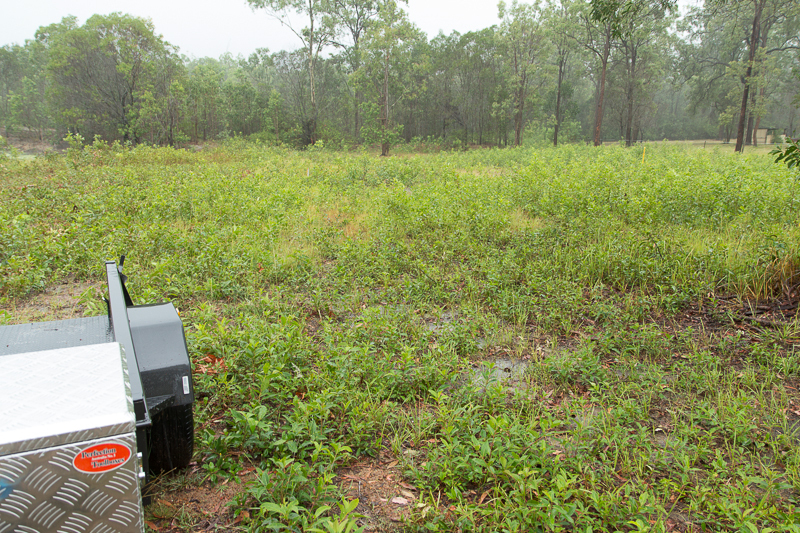 But in the videos from the course, and in a couple of books, I do remember a discussion that just ripping out the old pioneer species isn’t enough–that you need to quickly improve the soil so that other species can compete and take over–or you may just get regrowth. So maybe do an intense intervention and then quickly put in heavy mulches, other fast-growing species, hugelkulture etc to keep it from coming back. Also, aren’t Acacias desireable lumber trees? Maybe you could offset some of your costs by selling/using the lumber. And I also read they were great nitrogen fixers. . . so maybe the land they were on would be great for planting. The two photos show a similar area from a different angle. The woods on and near the dam look far denser than they are. However, the regrowth will eventually happen across all of the property if not kept in check. ‘You have to break some eggs’ seems to be the truth, and it looks I have to go ‘wild’ and ‘bulldoze’ the roots out and improve the soil immediate after, and plant after that. Which is the chain of actions I had envisaged. 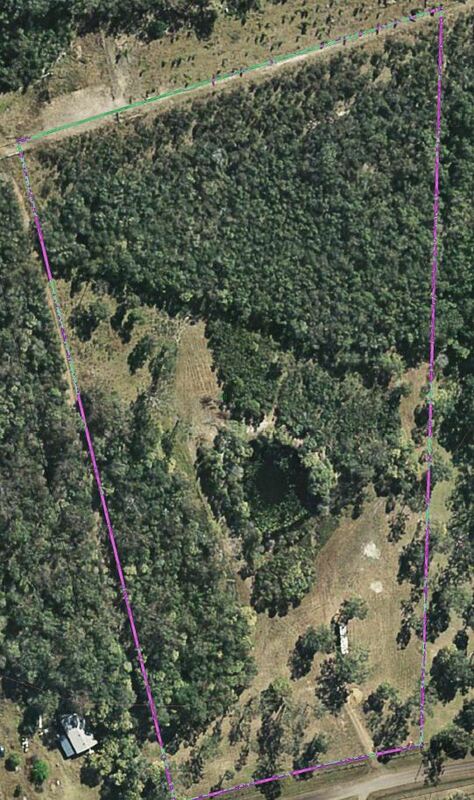 The images I have shown before show the area from the 40 foot container (white rectangle amongst trees) towards the dam. The second image is roughly taken from the upper grey spot (there are two). At the time of this satellite image, the regrowth had been slashed; this was September last year; slashed again in Feb this year. The two images show regrowth since then. I am also capturing the water (run-off) from the neighbours (much to my delight). The contour of the land favours water collection. The idea (also based on input from knowledgeable people) is to remove the trees on the dam wall as they cause leaks once they died off. I will keep you posted about what I ended up doing and whether it brought the desired result. In Fukuoka’s book, Natural Farming, he talks about replacing a species with a species from the same family. Acacia is in the Legume family, so seeding with something (more?) aggressive in the pea and bean family may be part of the land conversion.